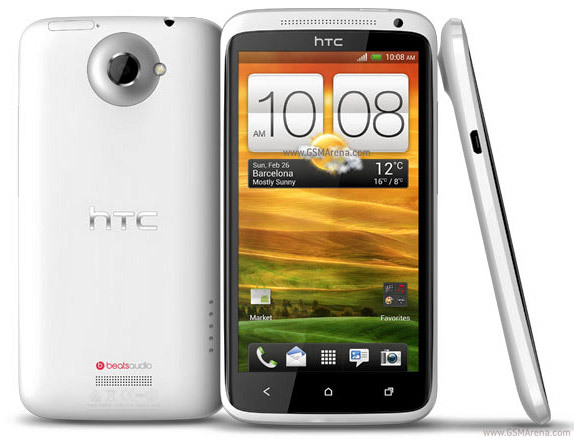 In this article we have present you how to update the HTC One XL smartphone with the latest and official Jellybean 4.1 firmware. This firmware fixed the all issues related to the camera and sleep bug. Please be informed that if you want to apply this firmware update in your HTC One XL device then make sure your device is rooted. And also keep in mind that you are not suppose to apply this firmware update in the network locked devices. If you do so; it will completely brick your device. So, please be aware of that before you start to proceed. If you are not sure whether your device is rooted or not, then download the ROOT CHECKER app from the Google Play store and check the same. So, let’s begin the tutorial on how to update the official Jellybean 4.1 firmware in the HTC One XL smartphone along with its quick pre-requisites. Initially you need to download the Jellybean 4.1 firmware package from here to your computer. So, once you downloaded the above mentioned file to your computer connect it to your HTC device via USB cable and place the zip file in your phone. Please make sure that you have not placed the zip file deep inside the subfolders if you do it will difficult for you to find. So, once you placed the zip file in your smartphone disconnect the device from the computer. After that enter your device into the boot loader mode. For that you need to press the Volume Up key+ OK Button and hold both of these buttons simultaneously press the power button. That’s it now you will be in the bootloader mode. Just in case, your device entered into the normal mode, instead of bootloader mode you need to retry until it enter into the bootloader mode. Without entering into the bootloader mode you could not proceed the further steps keep that in mind and retry the same. So, if you entered into the bootloader mode successfully, you need to select the “recovery” so as to enter into the recovery mode. In recovery mode, select Wipe data/factory reset, Wipe Cache partition; so that all the cache data is wiped off successfully. After that again select the “install zip from SD Card” and then choose the Jellybean 4.1 Zip package which you have placed already in your phone. (as we have mentioned in the second step and third step). So, once you select the aforementioned file within 5 minutes it will update your device. After that select the “reboot system now” for rebooting the device in the normal mode. That’s it you have done everything now your HTC One XL smartphone will have the latest Jellybean 4.1 firmware update.